News on the ground from Rockwall ISD ~ According to CWA’s (Concerned Women for America) Michelle Smith…..
News on the ground from Carthage ISD ~ Superintendents Dig in their Heels…..
Last night the Friday before Women On The Wall’s Alice Linahan is scheduled to speak in Carthage, Texas an article by: Three local superintendents has been published in the Panola County Watchman. 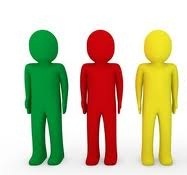 Before you read their article read about the Green, Yellow and Red People and ask yourself where are they in the analogy of the Green, Yellow or Red people. There are three different types of individuals involved in Common Core/CSCOPE; and we can see this all across America. The “green” people are those who go-along to get-along; they go with the status quo and are content to follow whatever teaching fad is in vogue at the present time. These people are not bad people but are easily deceived by those who have ulterior motives (e.g., drive-by media, national educator organizations, left-leaning politicians, CSCOPE, Common Core Standards). The “yellow” people are those who are driven by greed, money, power, and fame. Many of these people are vendors, lobbyists, or school employees who look past the egregious content of their products so long as they themselves are benefitting. Into this group fall some CSCOPE/TESCCC/ESC employees, Thomas Ratliff, Mike Moses, Pat Jacoby, TASA, TASB, etc. The “red” people know exactly what they are doing. They have long-term goals to change America, and they realize that the best way to do this is to indoctrinate this and succeeding generations of school children in their classrooms. Into this group fall such people as Obama, Arne Duncan, Linda Darling-Hammond, Bill Ayers, the National Education Organization, and many other left-leaners. Now, here is a link to their article. “It is sometimes mindboggling how some controversies begin. Certainly, the wildfire that has swept across Texas concerning the CSCOPE curriculum has our heads spinning. Misinformation has spread rampantly and the truth backed by factual information has been difficult to get out in front of the folks that are taking small excerpts and lessons out of context. In some cases, the CSCOPE curriculum has been attacked with reckless, unsubstantiated accusations. Women On The Wall encourages parents, grandparents and community members to show up and find out the truth about CSCOPE the Common Core philosophy of education that is being forced into our Texas Schools. Here are some great resources for those looking into CSCOPE in Texas. Click here for a list Texas School Districts using CSCOPE. Although this list is in the process of changing. I know school boards in districts such as Argyle ISD have voted to not fund CSCOPE. This entry was posted in Blog, Education News, News, Texas News and tagged ann_whitaker, carthage_isd, CSCOPE, Dr._donna_porter, dr._glenn_hambrick by Alice. Bookmark the permalink.